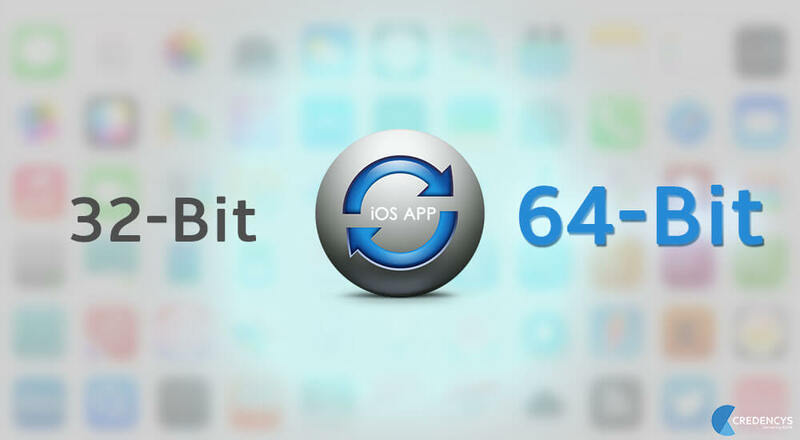 4 Reasons, Why You Should Update iOS App From 32-Bit To 64- Bit? World’s leading Smartphone makers are racing to make mobile phone’s processors faster. Last year, Apple took next step towards it with A7- 64-bit processor for iPhone 5S. And, after a few months, Apple leaps forward with another declaration of mandating all the iOS 7 and core apps to be ported to 64-bit. From February 1, 2015, new iOS apps submitted to the App store must include 64-bit support and be built with the iOS 8 SDK. After June 1, 2015, app updates will also need to follow the same requirements. To enable 64 bit in your project, default X-code build settings of “Standard architectures” can be used to build a single binary with both 32-bit and 64-bit code is recommended. The pioneer step of Apple has created ripples in the market, but many considered it as an Apple’s aggressive rollout. There is nothing illustrated like existing apps with 32- bit architecture will be removed or its performance will be affected, if they don’t comply with 64- bit. Even, after porting to 64- bit, the app will run in both 32-bit and 64-bit. High execution speed and best graphics in apps are the demand of present era. The 64-bit processor is twice as fast as the 32-bit processor. It introduces speed gains in both performance and graphics by providing CPU boosts 42 times faster than the original iPhone, with graphics up to 56 times faster. The incredible move of Apple is a great opportunity for the developers to excite their users by making the app more powerful with 64-bit support incorporation. Those iOS apps are having just 32-bit support are not compatible to run on Apple’s latest offerings of such as iPhone 5, iPhone 5s, iPhone 6, iPhone 6+, iPad and iPad mini. It won’t allow new iOS device owners to use those existing apps or permit old device owners to use apps built in iOS 8. Apple’s recent declaration brought good news for them that enable developers to use X-code 6.1.1 version, which makes apps support almost for all devices. Huge base of Apple device enthusiasts is quickly adopting the new version of operating system. iOS 7 adoption has lagged behind that of iOS 8 due to the amazing sale of new devices and impeccable performance of the new upgrade. 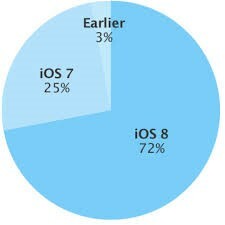 Now, 72% of people are using iOS 8, while iOS 7 is reserved only by 25% and 3% is held by others. Building or updating your app in iOS 8 SDK support and 64-bit code means your app will hit 25% iOS 7 users and 72% iOS 8 users. Thus, it is the excellent opportunity to captivate large consumer base with latest iOS 8 SDK. Last, but not least, developers are left with no choice after the announcement made by the Apple. They have to use Apple’s iOS 8 software development kit for engineering new project or updating the existing enterprise project if it’s in 32-bit code only. Complying with Apple’s demand, this update requires only for the first-time submission. Apple’s transition to a comprehensive 64-bit app store is prodigious. Accommodating Apple’s requirement will improve the performance of iOS application and becomes a way to reach large consumer base. Create a big bang by including iOS 8 and 64-bit architecture in your apps. Here, at Credencys, we have a good team of iPhone developers who have had expertise in developing and deploying world-class solutions using latest tools, OS, and SDKs.